Our kitchen does not have a lot of storage. Fed up with trying to find homes for things, I decided we needed to get some kind of shelving to store all the casserole dishes and oven trays. We ended up with the $199 REGISSÖR. It is very tall and it has solved our storage issue nicely. We picked up the $69 RÅSKOG which I have wanted for a while. It is actually perfectly sized to hold our large containers with cling wrap, aluminium foil, and baking paper. I’m using the second shelf to store antibacterial wipes. I was using the third level for plastic supermarket bags but the kitties put a stop to that concept by stealing them at sleeptime, making too much noise. 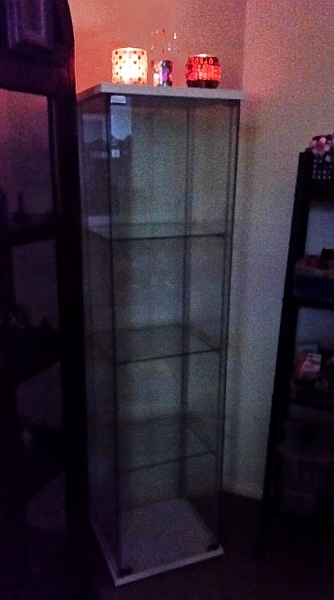 We also grabbed the $99 DETOLF for my lounge room area. This gives me yet another place I can safely use candles far from prying kitties. 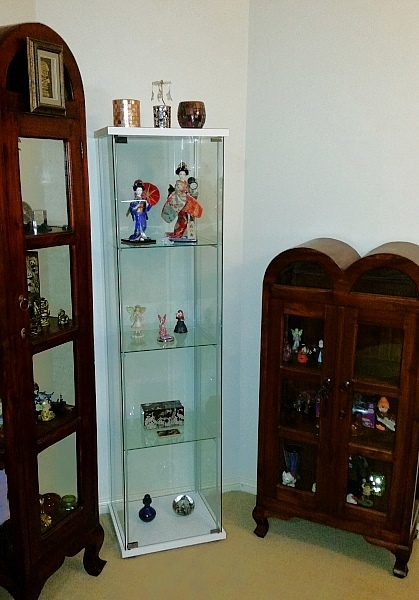 Here it is with some of my collectibles inside. Part 1 of this post can be found here. The rounded top on the shorter piece in the last photo is unusual. Is it an original piece or reproduction? 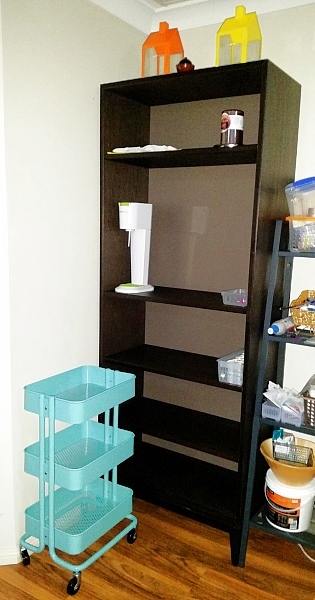 I like your purchases, I have very little storage in my kitchen too, but nowhere I can put extra shelves, so I have a cabinet out on the back porch for all my plastic ware and baking things that I don’t use often. 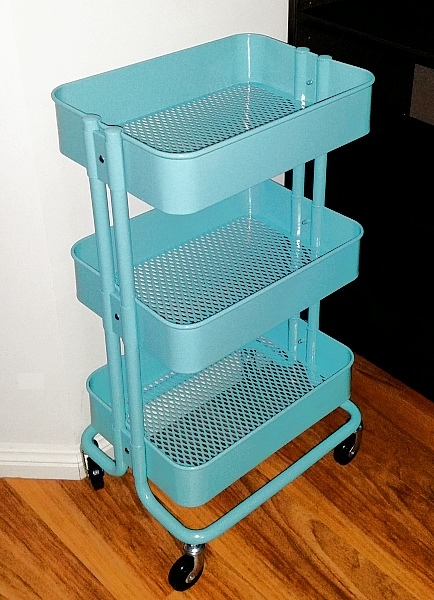 I have one of the Raskog trolleys in a cream colour, it’s currently at my kids house holding their millions of bottles and packets of herbs and spices.